Over on Instagram this week, we shared our pencil grasp trick with a treasure chest theme. 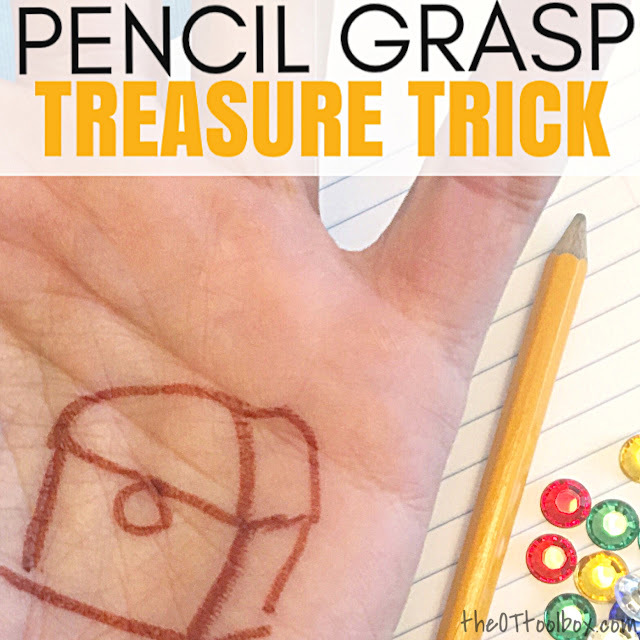 This pencil grasp trick is one that helps so many kids because there is a common reason for poor pencil grasp, that can be easily remedied. 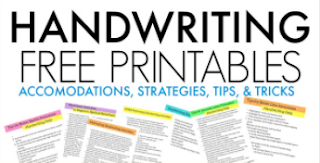 In fact, for kids struggling with pencil grasp and teachers or parents who are looking for how to teach pencil grasp or where to get started with teaching pencil grasp, this is a creative way to begin. 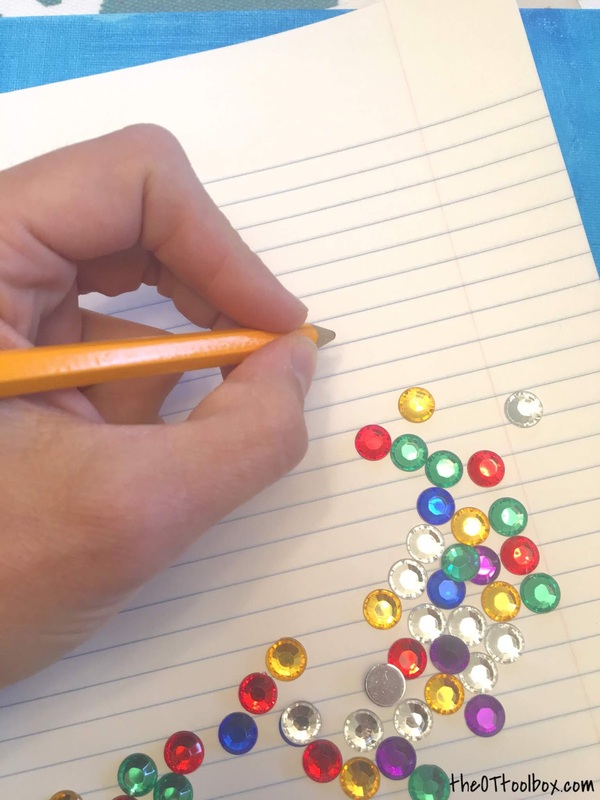 Teaching pencil grasp begins with fine motor skills. 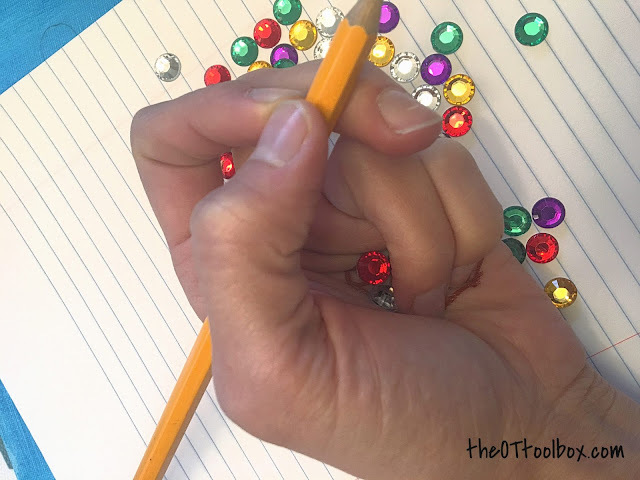 If you are looking for fun ways to work on the fine motor skills needed for a functional pencil grasp, start on our fine motor page. In this pencil grasp activity, we are promoting separation of the sides of the hand. 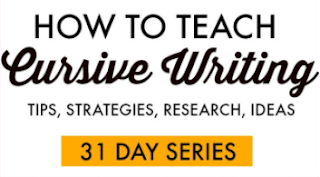 This skill is an area that can make a huge difference when it comes to encouraging a functional grasp when writing. Read more about separation of the sides of the hand and why this is an essential skill to master for pencil grasp. 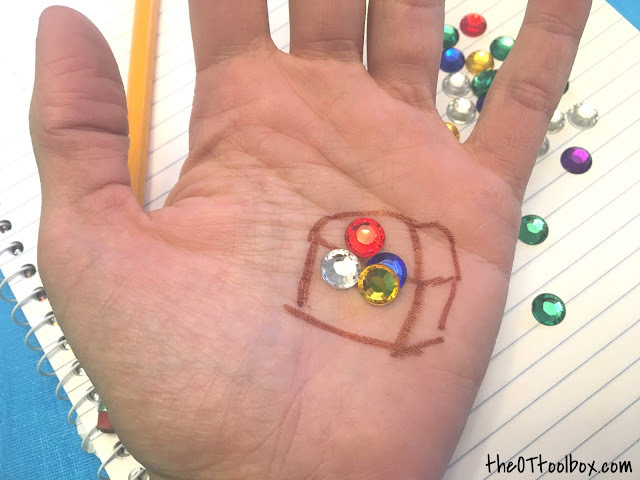 To encourage separation of the sides of the hand, we used a treasure chest themed activity and some gems that we received from www.craftprojectideas.com. 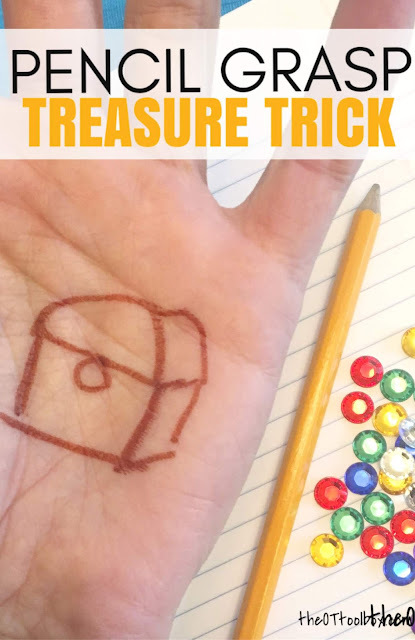 To create this activity, simply draw a simple treasure chest on the ulnar side of the child's palm with the washable marker. 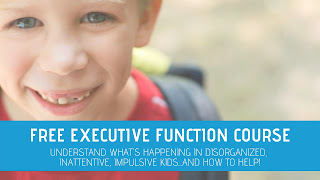 This act alone is often times one that sparks interest in a child who struggles with motivation and self-confidence in handwriting. 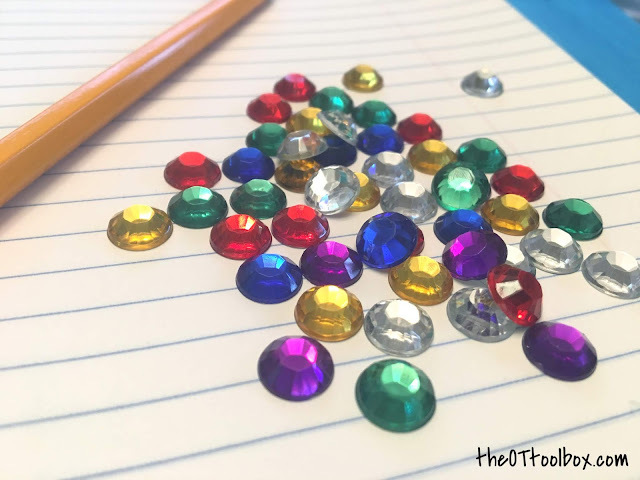 Then, show the child that you are going to put some gems or "jewels" into their treasure chest. Ask them to keep the treasure safe and show them how you can fold their fingers down onto the treasure chest. They should cover the gems with just the ulnar digits, or the pinkie finger and ring finger. Now ask them to pick up cgems with just their thumb and pointer finger while they keep the gems squirreled away in their palm. This is effectively separating the sides of the hand! 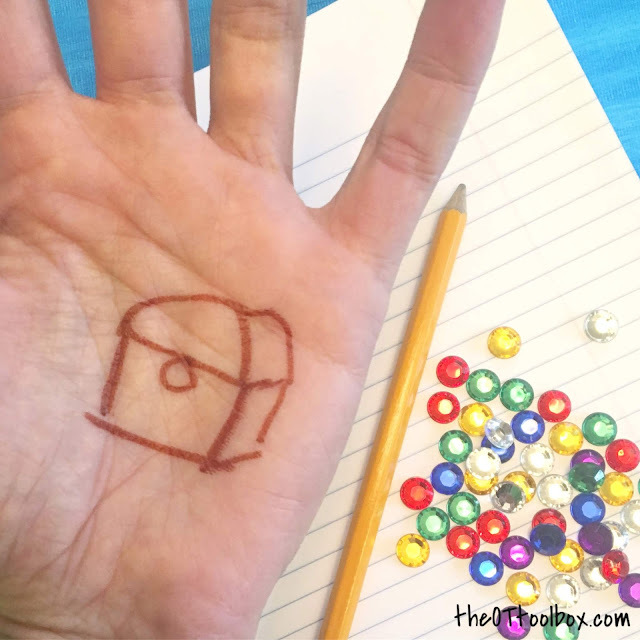 Next, ask the child to keep those gems hidden away in their palm while they write with a pencil. This separates the sides of the hand while holding the pencil and writing, allowing for a functional pencil grasp. Like this idea? Watch our Instagram page for more creative pencil grasp activities coming your way soon, all part of our #pencilgraspchallenge! If you didn't see this activity over on Instagram, then be sure to head on over to our IG page and follow along. We would love to connect with you over there! Here are games that improve pencil grasp.